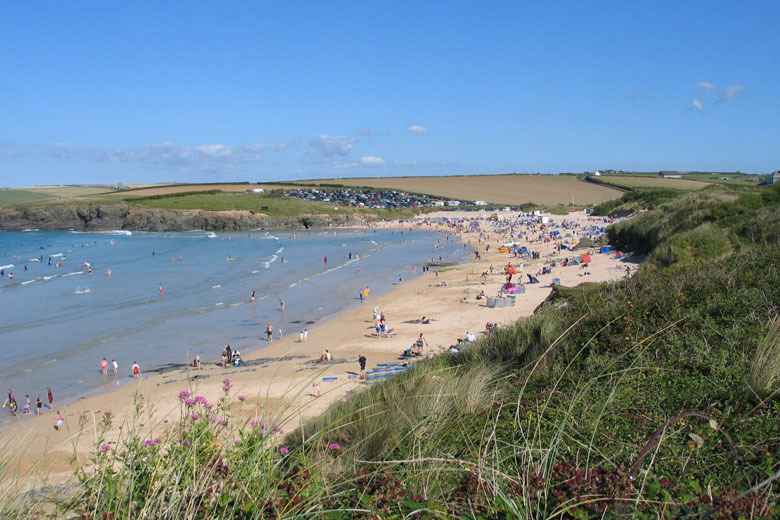 as Harlyn Bay Beach is only a few minutes walk away. We have beaches for everyone: from the 3/4 miles of golden sand on your doorstep at Harlyn: clean, safe and ideal for families, surfers, swimming and sunbathing to the beaches around the Padstow peninsular all within 3.5 miles of Polmark Beach Cottages, including: Constantine, Treyarnon, Trevone, Porthcothan, Boobys and Mother Ivey’s Bay. The coastal path means you can walk from one to another. 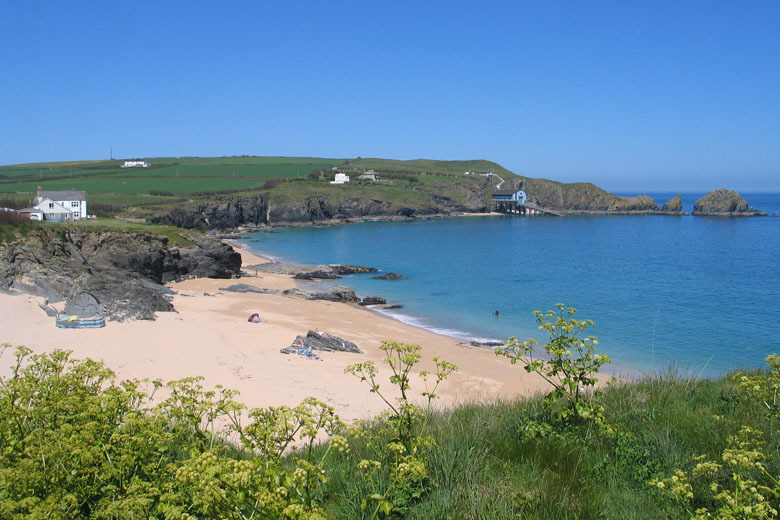 We’re just a few minutes walk from Harlyn Bay Beach, one of the best family beaches in Cornwall, with great water quality and summer lifeguard cover. It’s also an excellent place to learn to surf, and has a great surf school one of the best on the beaches of North Cornwall. It’s great for smaller children with sand and rock-pools and is also dog-friendly. Find out more about Harlyn. 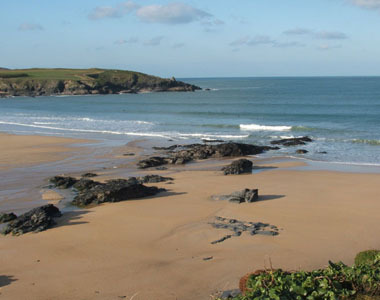 Both within a mile of Harlyn, these slightly smaller beaches offer a change to Harlyn. Mother Ivey’s overlooks the new Padstow lifeboat station on Trevose Head and Trevone has its own blowhole. 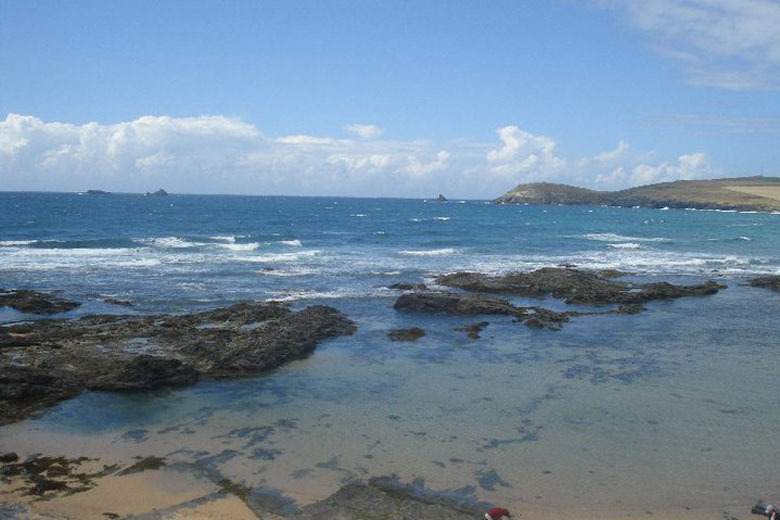 Slightly further away from Padstow, Constantine Bay and Boobys Bay are alternative surfing & sunbathing spots – lifeguarded in the summer. Boobys, next door to Trevose Head, has its own shipwreck which can often be seen at low tide.